What are Grit and Self-Control? Grit is the tendency to sustain interest in and effort toward very long-term goals. Self-control is the voluntary regulation of behavioral, emotional, and attentional impulses in the presence of momentarily gratifying temptations or diversions. On average, individuals who are gritty are more self-controlled, but the correlation between these two traits is not perfect: some individuals are paragons of grit but not self-control, and some exceptionally well-regulated individuals are not especially gritty. While we haven’t fully worked out how these two traits are related, it seems that an important distinction has to do with timescale: As Galton (1892) suggested, the inclination to pursue especially challenging aims over months, years, and even decades is distinct from the capacity to resist “the hourly temptations,” pursuits which bring momentary pleasure but are immediately regretted. Research at the Duckworth Lab at the University of Pennsylvania's Positive Psychology Center has established the predictive power of grit and self-control, over and beyond measures of talent, for objectively measured success outcomes. For instance, in prospective longitudinal studies, grit predicts surviving the arduous first summer of training at West Point and reaching the final rounds of the National Spelling Bee, retention in the U.S. Special Forces, retention and performance among novice teachers, and graduation from Chicago public high schools, over and beyond domain-relevant talent measures such as IQ, SAT or standardized achievement test scores, and physical fitness. In cross-sectional studies, grit correlates with lifetime educational attainment and, inversely, lifetime career changes and divorce. Other studies have shown that self-control predicts report card grades (and changes in report card grades over time) better than does measured intelligence. 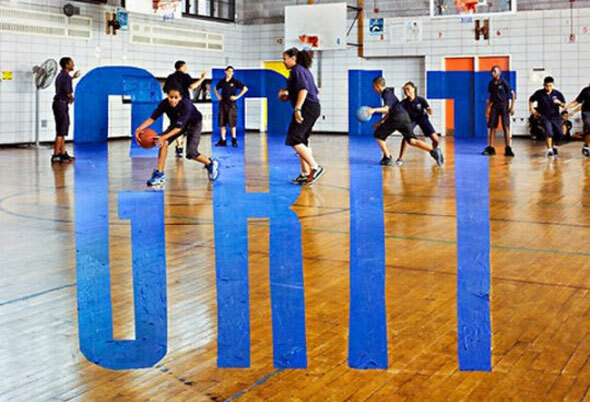 The language we use to describe grit and self-control – words like “character” or “personality trait” -- may connote to some immutability. However, it is now well-established that traits change across the life course. So, while there is enough stability to traits to sensibly describe one individual as grittier than another, it is also true that children and adults change their habitual patterns of interacting with the world as they accumulate additional life experience. In terms of intentional change, one promising direction for research is the correction of maladaptive, incorrect beliefs. For instance, individuals who believe that frustration and confusion are signs that they should quit what they are doing may be taught that these emotions are common during the learning process. Likewise, individuals who believe that mistakes are to be avoided at all costs may be taught that the most effective form of practice (deliberate practice – see research by Anders Ericsson) entails tackling challenges beyond one’s current skill level. For self-control, the Duckworth lab is studying strategies children (and adults) can use to weaken the strength of undesirable impulses and to heighten the accessibility of desirable impulses. These strategies all have the feature of making self-control easier, by reducing the expected value (i.e., attractiveness) of temptations and/or increasing the expected value of desirable behaviors. See the Duckworth Lab website for more information on the research mentioned above.